"Always friendly, concerned, & professional. #9. Very. " "Dr. Shah, great doctor and person also great teacher to Dr. James. Good doctor, very thorough, caring and punctual." "I have only high praises and gratitude for having Dr. Hitesh Shah as my nephrologist." "Dr. Shah & staff are very, very admirable & dependable & most professional & sympthetic!" 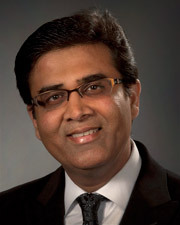 "Dr. Shah has always been an excellent doctor & his assistants, esp. Dr. Duppal, have been just as professional as well as compassionate."